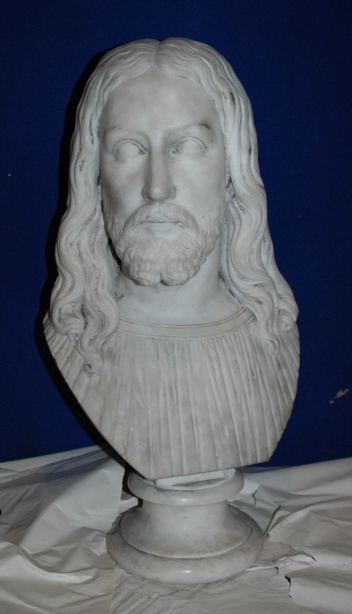 An important discovery has been made of a Bust of Christ by the Afro-Indian sculptor Edmonia Lewis (1842-1907). It is in a collection in Scotland for which she also created a Madonna and Child With Angels. A work by her of this name was auctioned in London in the latter part of the 19th-century, but with no illustration and little other information. For a quick intro to Lewis, her life and career, Google “Marilyn Richardson” “Edmonia Lewis” both in quotes. This entry was posted in 19th century, Bust of Christ, Edmonia Lewis, Important Discovery and tagged 19th century, Bust of Christ, Discovery, Edmonia Lewis. Bookmark the permalink.